Earlier this year Frontiers Music Srl released the new album from Mike Lepond’s Silent Assassins, Pawn and Prophecy. Today they are pleased to present a new video from the album for the song “Black Legend”. That’s probably my Judas Priest influence. If you remember that Judas Priest song called ‘Delivering the Goods,’ it’s kind of modeled after that. And that is like my signature style: Straight ahead, classic heavy metal the way I feel it should be played. Lyrically, it’s about the Spanish Inquisition, so there’s some cool historical references in there. 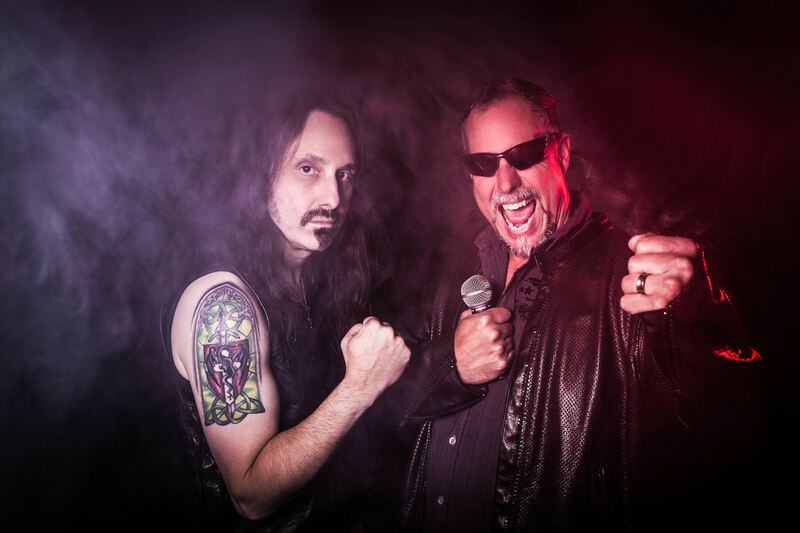 Four years removed from the debut Mike Lepond’s Silent Assassins album, the Symphony X bassist returns with his second solo effort, alongside vocalist and fellow Assassin Alan Tecchio. The new record, Pawn and Prophecy serves as a complimentary companion to the eponymous debut, but also progresses into new territory. Sonically, Mike Lepond taps into his love of bands such as Motorhead, Judas Priest and Exciter, as well as artists like Blackmore’s Rainbow and Van Halen. Lyrically, he wades into his love of literature, crafting songs around the tales of H.P. Lovecraft and Shakespeare, with historical nods to Nero and the Spanish Inquisition. 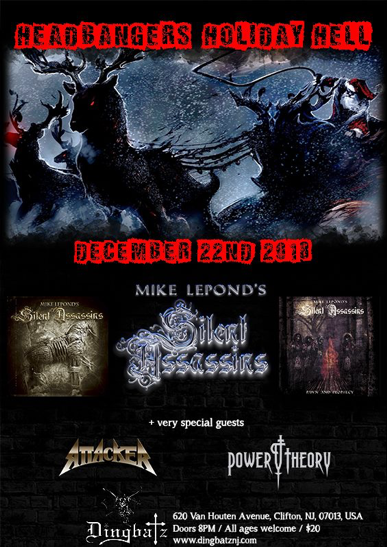 Mike Lepond’s Silent Assassins have announced a special concert called “Headbangers Holiday Hell” for December 22nd in Clifton, New Jersey at Dingbatz. Tickets are available HERE!